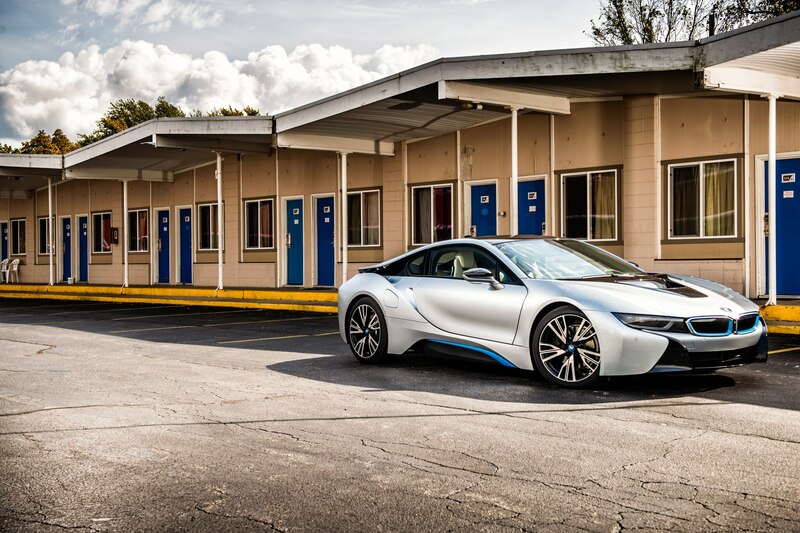 From startup to showroom, so much could have gone wrong with the BMW i8. 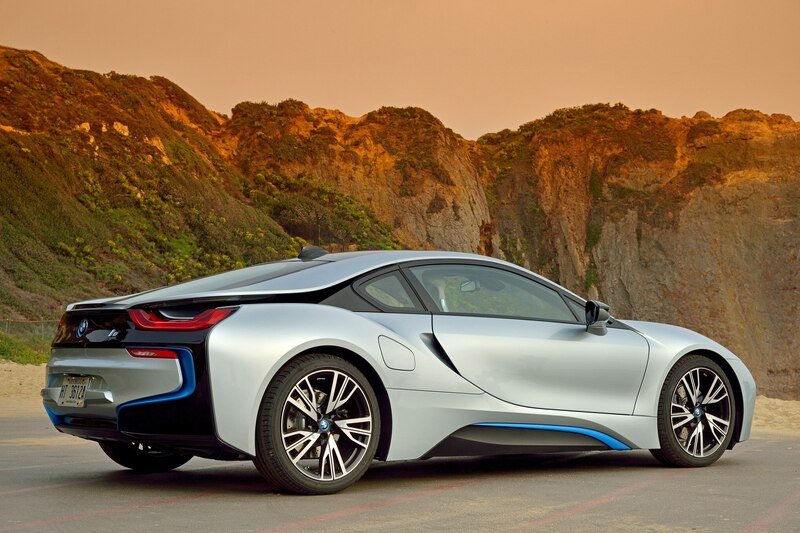 Its concept-car form could have been watered down, its plug-in powertrain neutered. 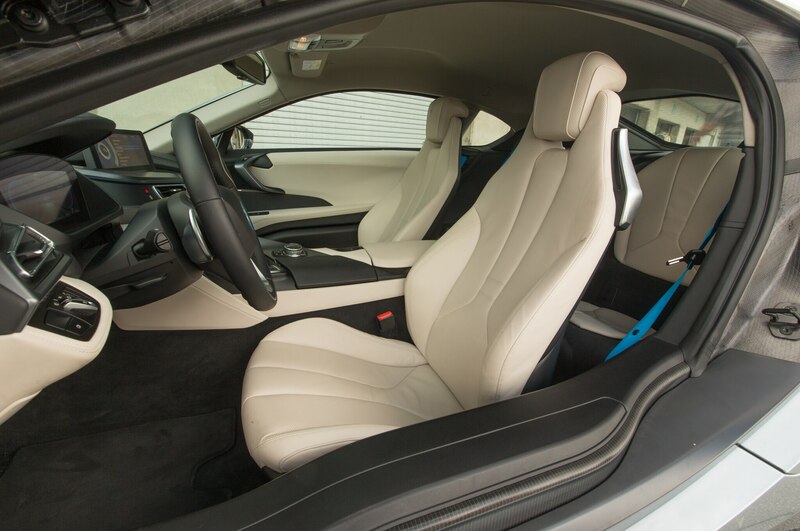 The BMW might have been a Fisker Karma redux, a pretty shape that hid a tangle of compromises and poorly integrated hybrid technology. 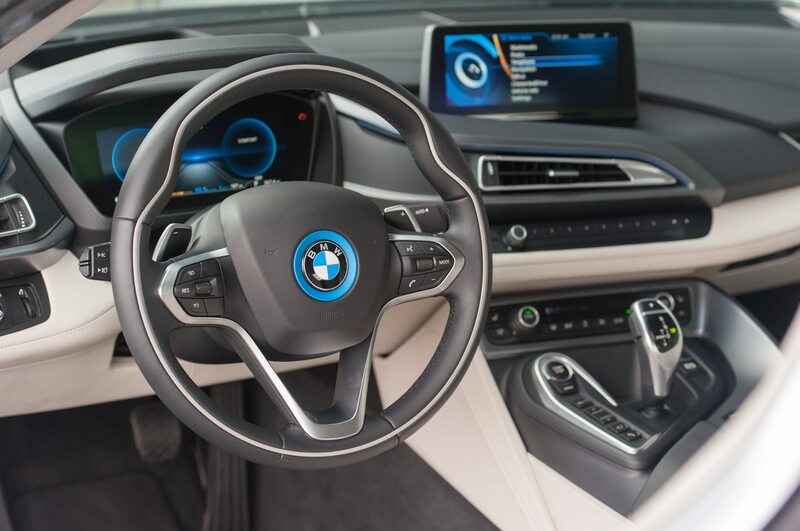 BMW might even have said “nicht” and canceled the project entirely. 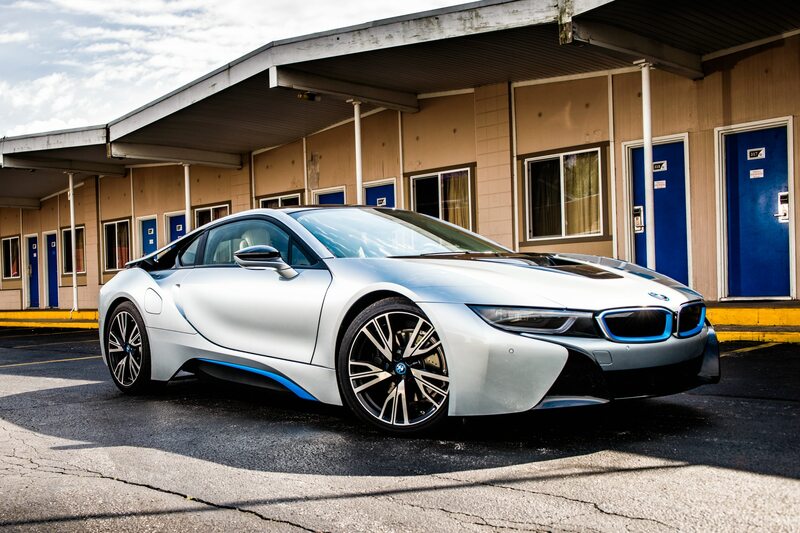 Instead, the BMW i8 is here, and it actually lives up to the Munich marketing hype. 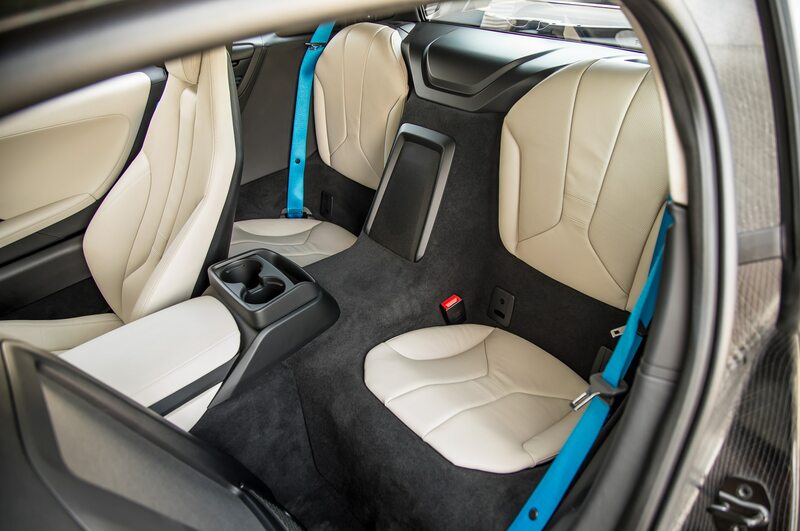 It’s a crowd-slaying, synapse-firing sports car that kills any remaining argument that electrified cars can’t be frugal and fun to drive. 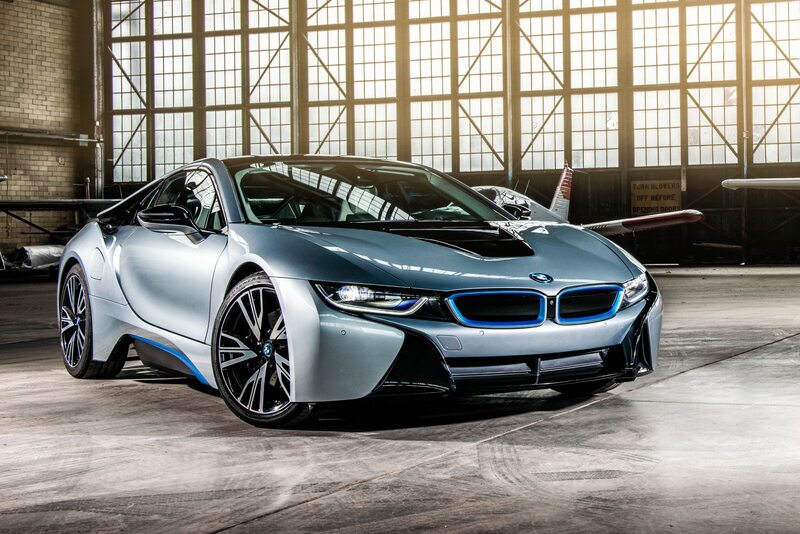 It heralds a potential age of more affordable cars formed from weight-slashing carbon fiber. 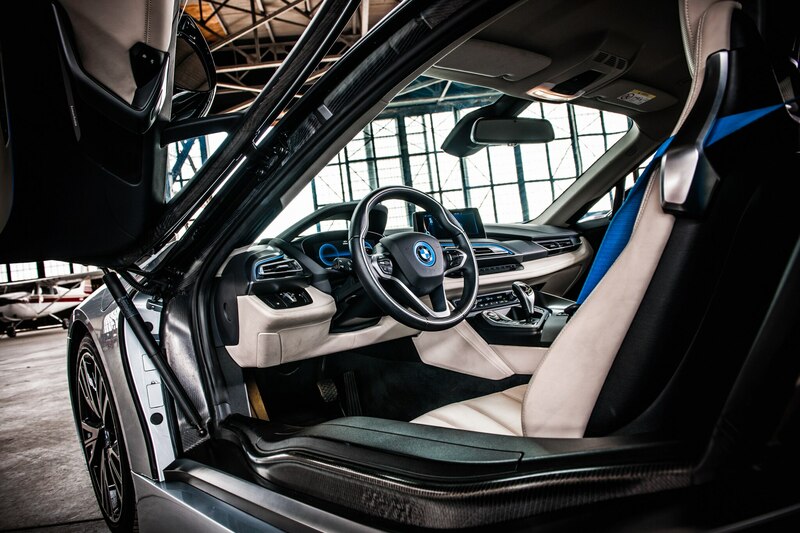 It’s one of a handful of automobiles that dares to envision and embody the kind of cars enthusiasts might drive 20 years from now. 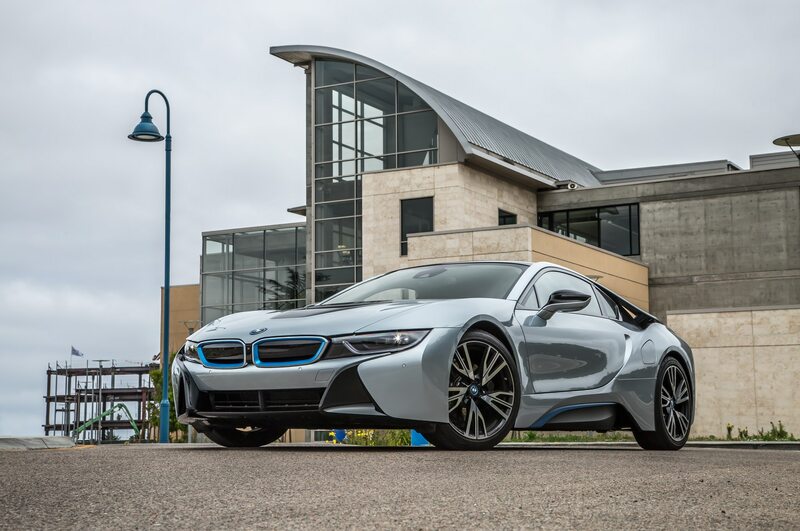 The i8 even helps restore BMW’s somewhat battered reputation as a leader and innovator of high performance. 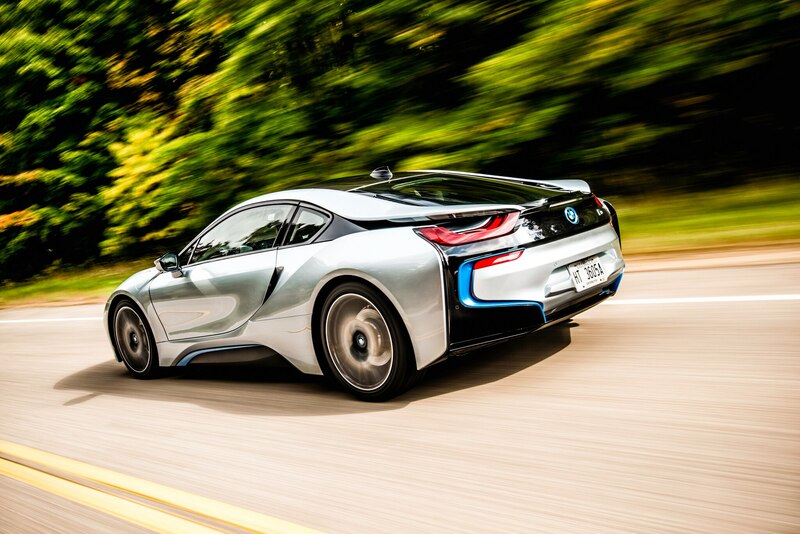 Electrified stunner: Get behind the wheel of the BMW i8, and you’ll never believe it has just 357 horsepower. In other words, it’s pretty hot stuff. 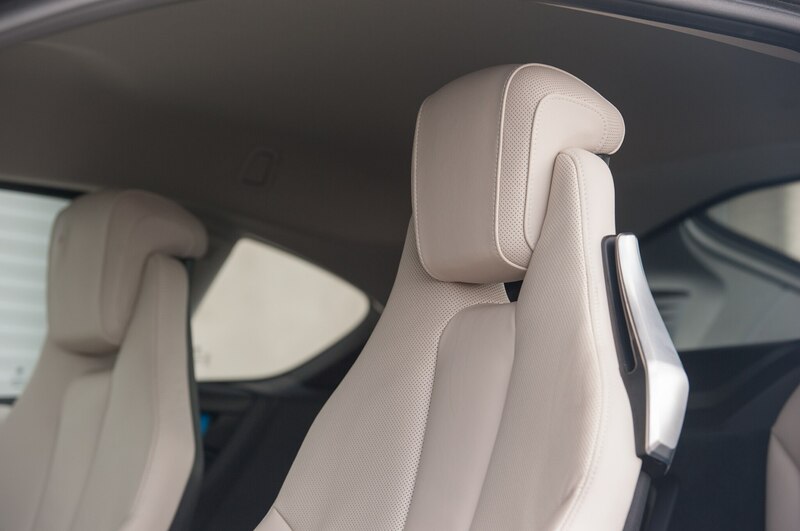 The specialness begins the second you duck below the swan-wing doors, cozy into luxurious chairs, and fire up the all-wheel-drive hybrid powertrain: 129 electric horses for front wheels and a 228-hp, electrically assisted three-cylinder gasoline engine out back. 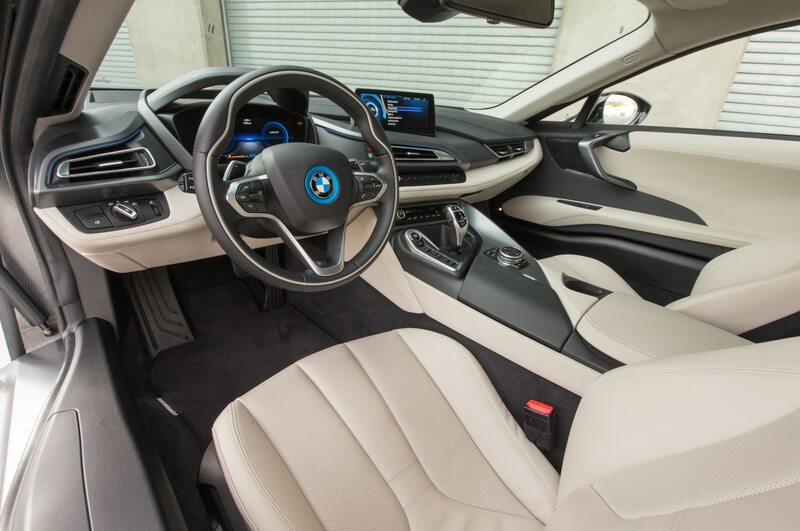 Gentle driving lets the i8 cover roughly 22 miles on battery power alone. 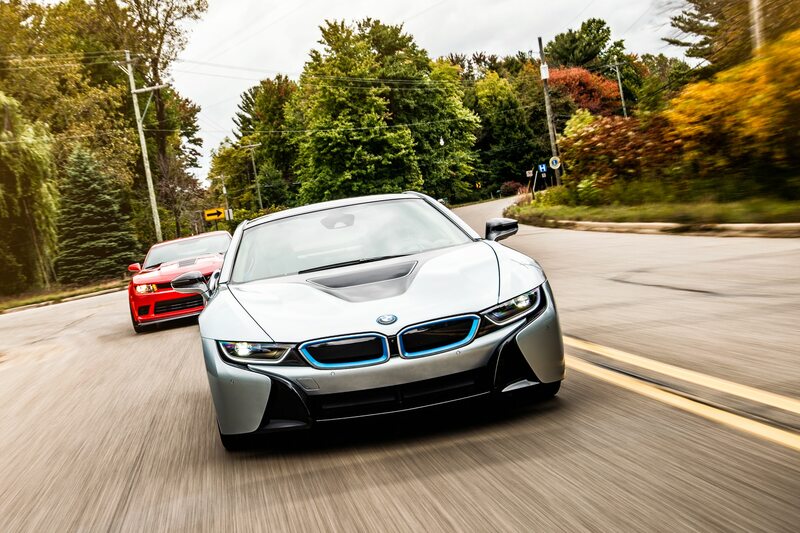 In our testing, it delivered up to 38 highway mpg. 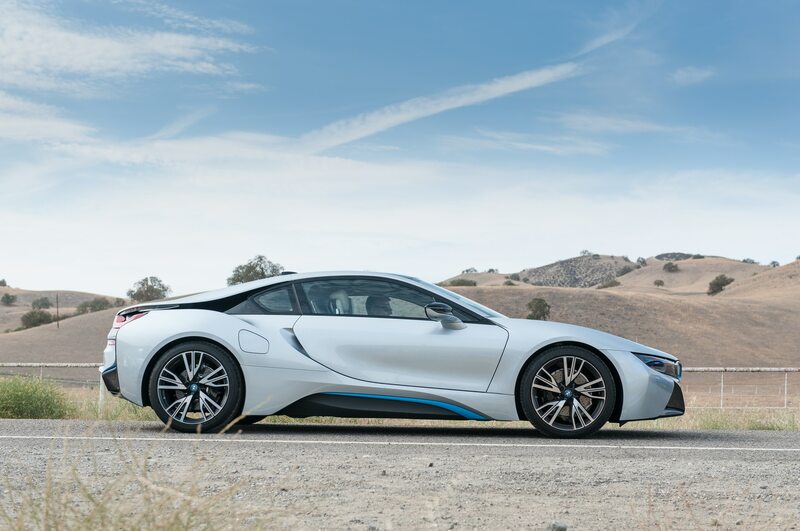 Toggle up to Sport mode, and the BMW i8 replenishes its 7.1-kilowatt-hour battery on the fly — “fly” being the operative word, with the i8 surging from 0 to 60 mph in 4.2 seconds. 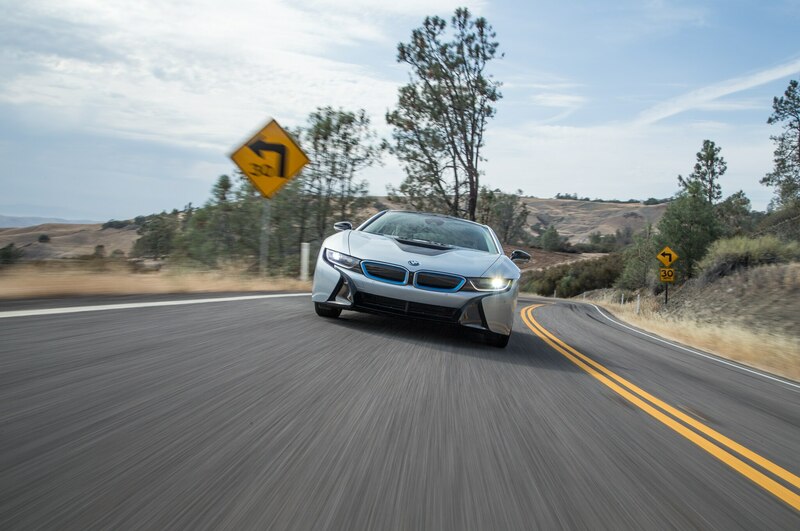 The i8’s yee-haw acceleration doesn’t seem to compute with 357 on-paper horses, until you consider the slender 3,455- pound curb weight, nitrous-like electric boost, and a ruthlessly effective six-speed automatic transmission. 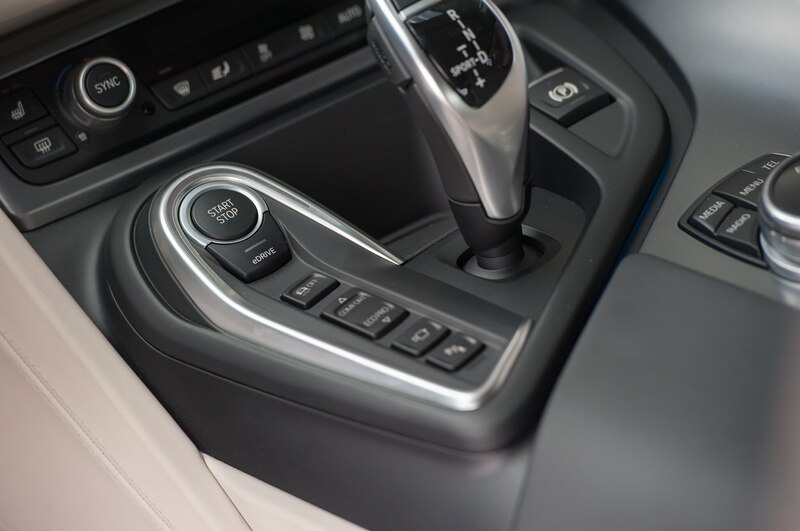 With a long wheelbase, precise (if overlight) steering, and an intimate GT-style cabin, the BMW is adept at both stoplight and weekend getaways. 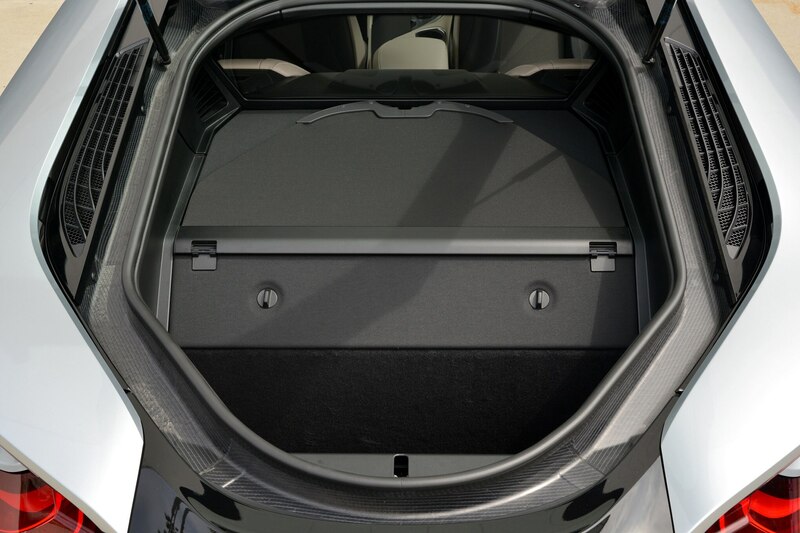 All-wheel-drive poise combines with surprisingly robust grip for a car with relatively narrow, fuel-saving 20-inch tires. 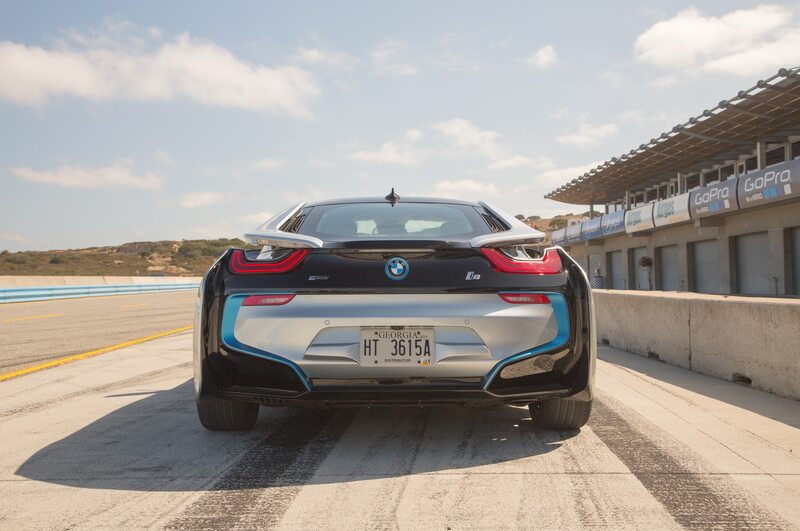 Yet this hybrid saved some gas-electric fireworks for GingerMan Raceway, carving fluid laps and charming the pants off driver after driver. Even the synthesized engine sound scores an improbable sensory hit. 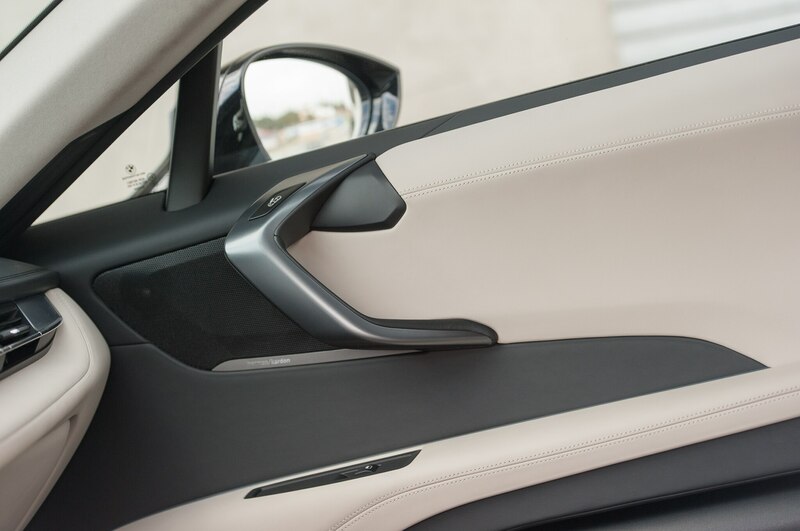 Subtly pumped through door speakers, this chesty growl perfectly suits the i8’s performance character and sounds anything but ersatz. 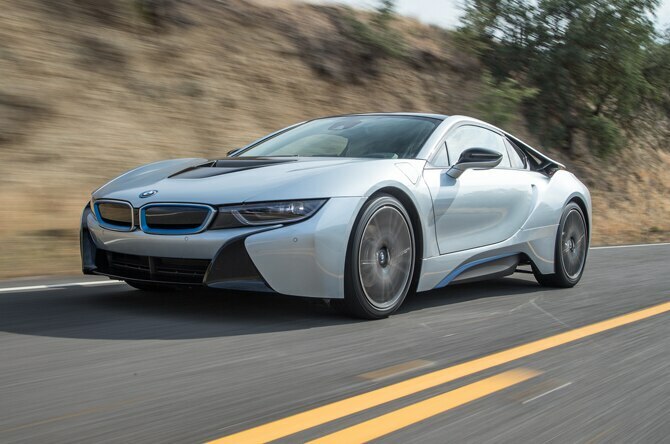 Chevy Volt and Nissan Leaf fans may grumble over the BMW i8’s nearly $137,000 base price. 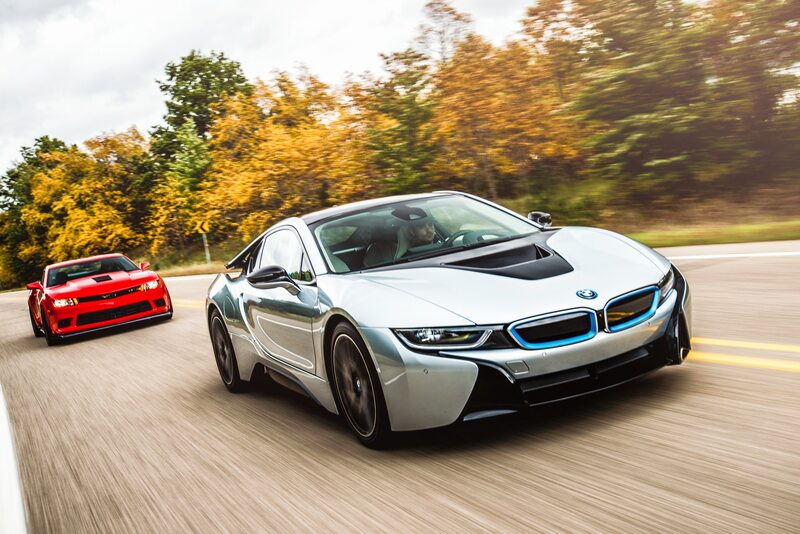 Yet the only other plug-in sports cars that have any business on track — the Porsche 918 Spyder and the McLaren P1 — cost $850,000 and up. 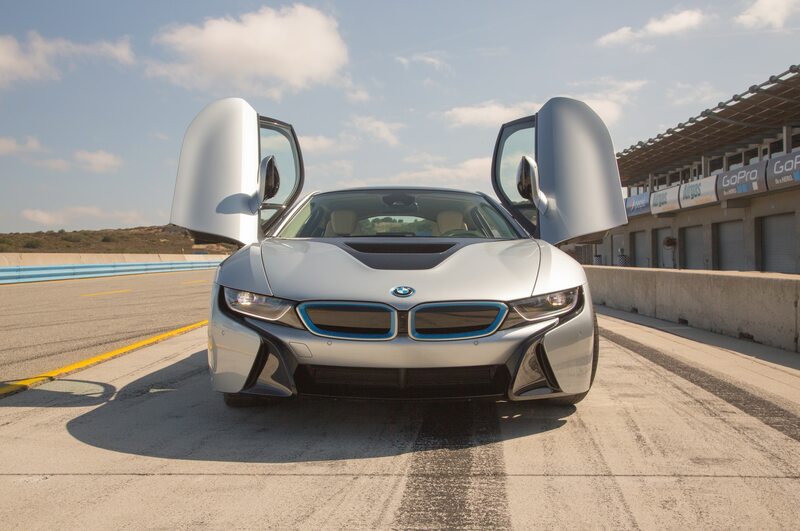 Compared to those deities, the i8 is within a mortal’s reach. 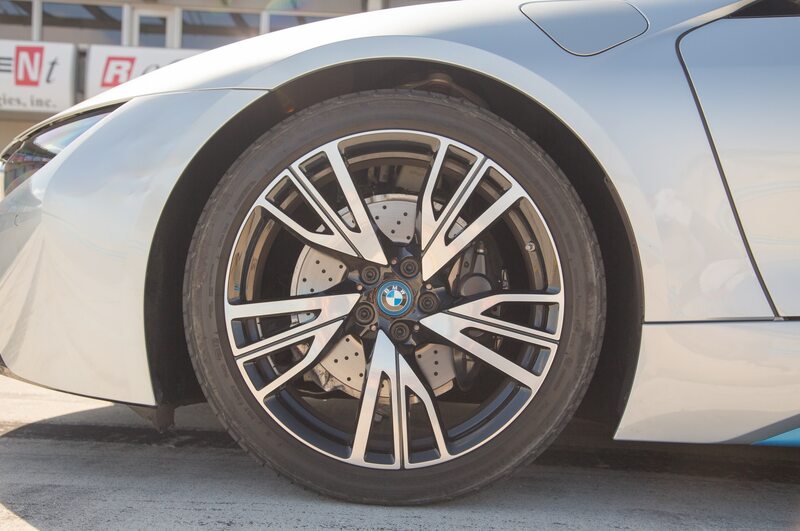 Measured against a more conventional two-plus-two exotic — the Aston Martin DB9 — the BMW virtually doubles its fuel economy, thumps its performance, and seduces onlookers at least as well. 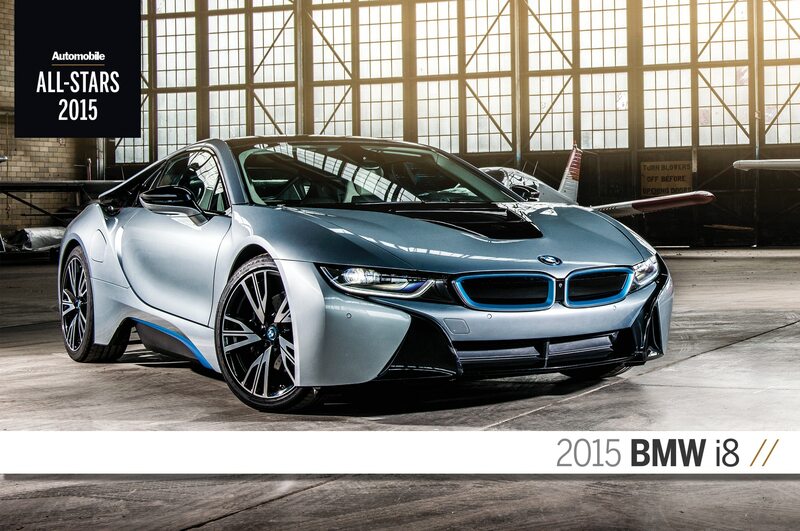 Suddenly, 140 grand sounds reasonable, especially for a car that looks and performs like a billboard for the future. 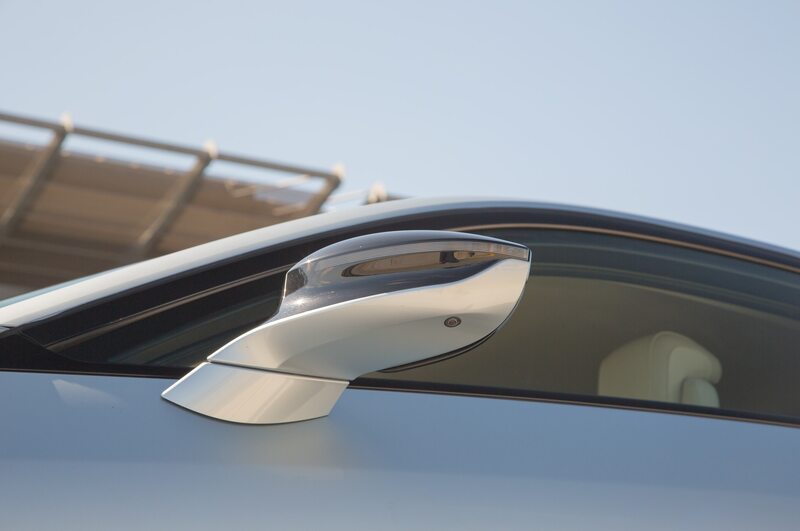 Hybrids have been promising the yin-yang package for years. 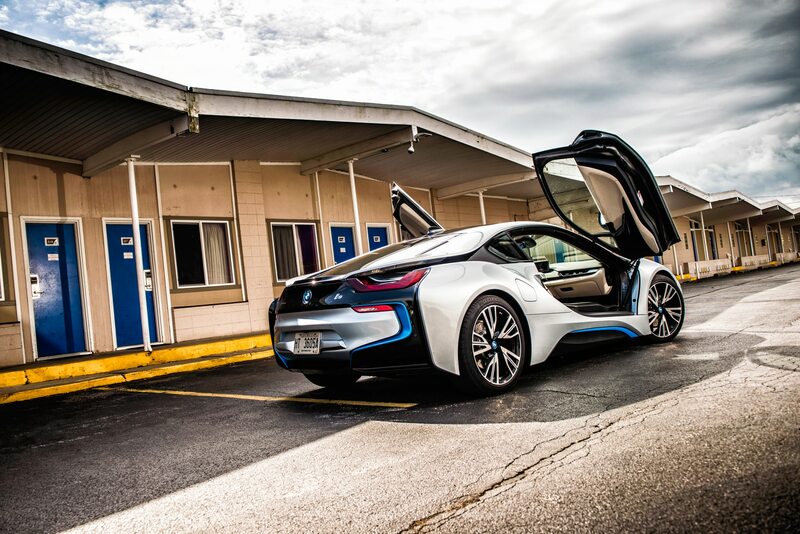 The i8 delivers. 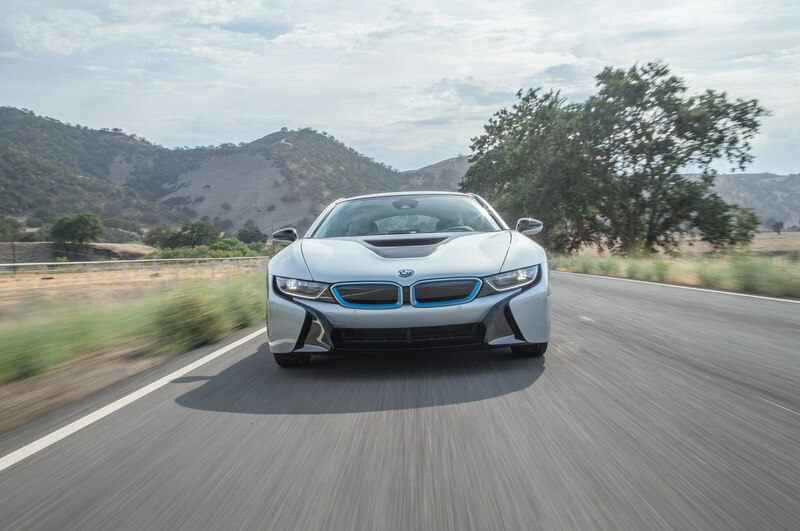 Seemingly contradictory goals of performance and fuel savings meld into a beautiful, complementary whole. 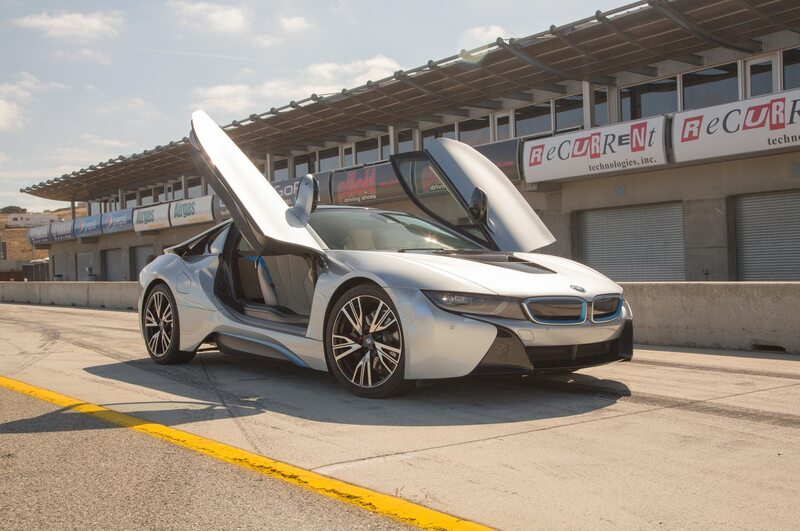 The result is a sports car that’s more than the sum of its hybrid parts. 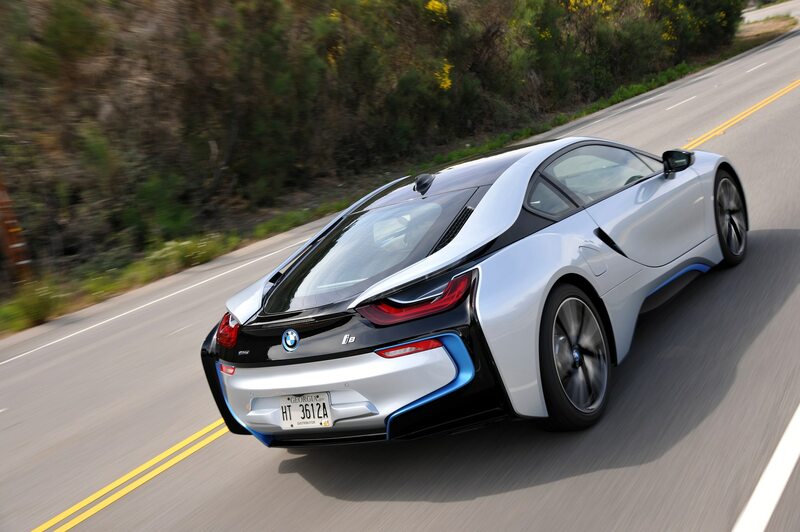 The i8 is an All-Star.